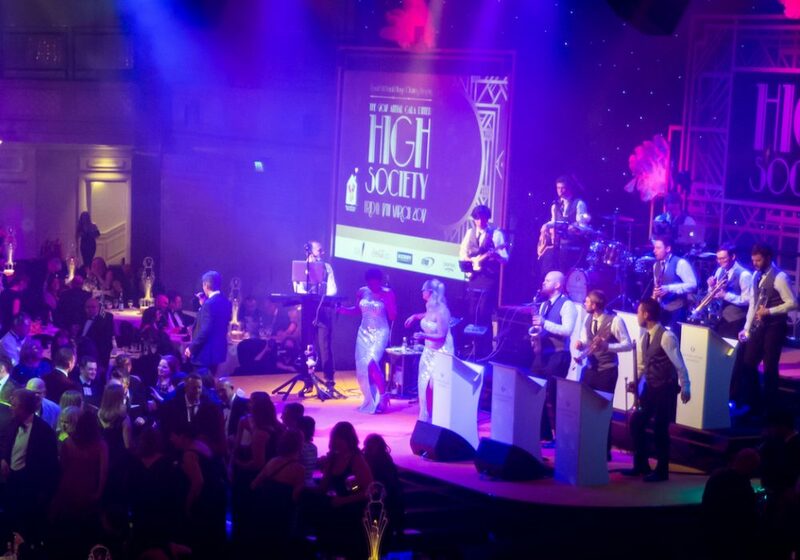 A multi-talented showband with options to suit all budgets and requirements, from a jazz trio to a 19-piece show band with options in-between for swing and pop music. ...amazing last night! ... Everybody had a blast dancing to the band! Thank you so much for everything ... you were all fantastic! Experience the charm and delight of the big band era. 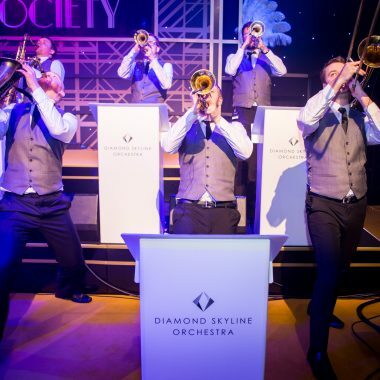 The unforgettable sounds of Frank Sinatra, Glenn Miller and Duke Ellington is the perfect start to any evening. Continue the musical journey with the epitome of live party bands playing your favourite hits from the last five decades. Swing, Soul, Motown, Disco, Dance and Pop, there is something for everyone. Trust that you are in safe hands, with some of the finest professional musicians in the UK. A unique musical package that can be adjusted to any event situation. Treat yourself to an evening of shimmering sounds, hours of dancing, and unforgettable memories. 100 years of timeless classics, performed just for you, in one fantastic night of dazzling live entertainment.